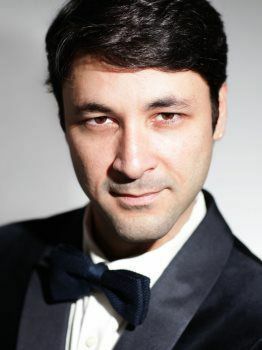 Tenor Opera Singer Marco Antonio Jordão - Alpha Artists Management, LLC. Born in Salvador, Brazil, tenor Marco Antonio Jordão obtained his Bachelor’s degree in Music at the State University of São Paulo and his Masters Degree at the New England Conservatory of Music in Boston, as a student of Luretta Bybee. While in São Paulo, he performed in roles, including Ernesto in Don Pasquale, Ferrando in Cosi Fan Tutte, First Jew in Salome, and Don Jose in Carmen. In the United States he sang the American premiere of La Gazzetta by Rossini as Alberto, as well as the leading roles of Tito in La Clemenza di Tito and Fritz in L’amico Fritz. He performed as Nerone in L’incoronazione di Poppea, Alfred in Die Fledermaus and also Tony Canolino in the play “Master Class” by Terrence McNally. Recent and upcoming: Equally comfortable in recital and oratorio repertoire, Marco has appeared in recital with such repertoire as Schumann’s Dichterliebe, several Bach Cantatas, the Requiems of both Liszt and Mozart, plus several lieder recitals. In addition, he has participated in several summer and winter festivals in Italy and France. Furthermore, he has performed in master classes with Tereza Berganza, Jane Eaglen, William Burden and Marilyn Horne.